If you are passionate about Piha and want to make sure you are represented on local issues then you should join the Piha Ratepayers’ and Residents’ Association. Why? The Association supports local community groups and regularly donates to assist those groups with their fund raising activities. Any property owner or resident and family members can be Full Members of the Association. Any other person can be an Associate Member but may not vote at any meeting. Membership is $10 per person. Please fill in the form below. 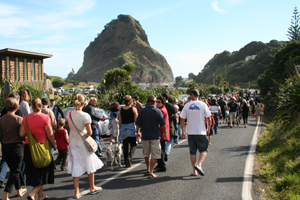 Please make cheques out to Piha Ratepayers and Residents' Association. Direct credit to Bank ac. no. 12-3051-0262370-00 with your name as reference. If a new member or details have changed, please post or email membership form.